World War II 1941 – 1945 served 16,112,566 killed 405,400 wounded 671,846 The United States joined the Allies (Britain, France , Russia, China) to fight the Axis Powers (Germany, Italy, Japan ) after the U. S. Military was attacked by the Japanese at Pearl Harbor in 1941. U.S. Military forces sw action in Asia, the Pacific, Europe, and North Africa. This was the largest and most expensive war ever. Germany surrendered in May of 1945 and the Japanese surrendered in September 1945 after the atomic bombs were dropped on Japan to avoid additional loss of life which an invasion of the 4 main islands of Japan would have caused. 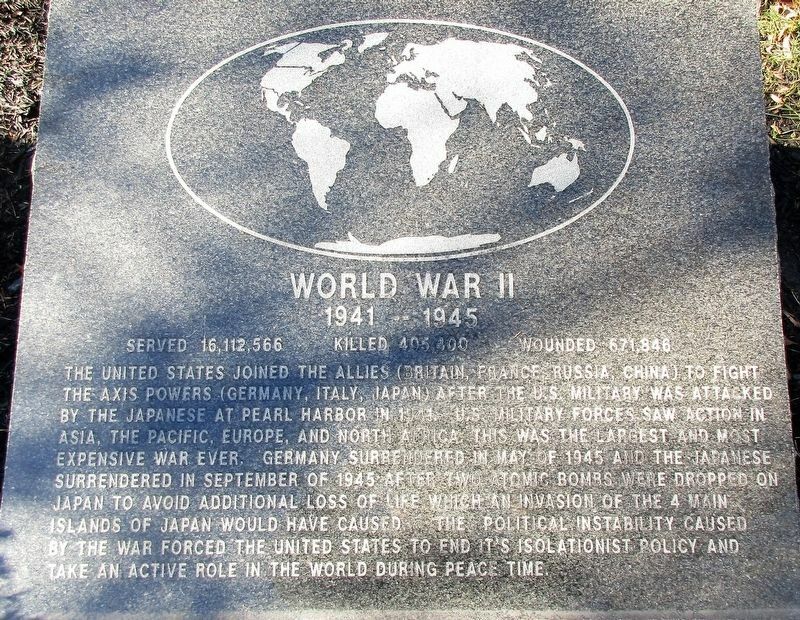 The political instability caused by the war forced the United States to end its isolationist policy and take an active role in the world during peace time. Location. 39° 44.675′ N, 84° 3.398′ W. Marker is in Beavercreek, Ohio, in Greene County. 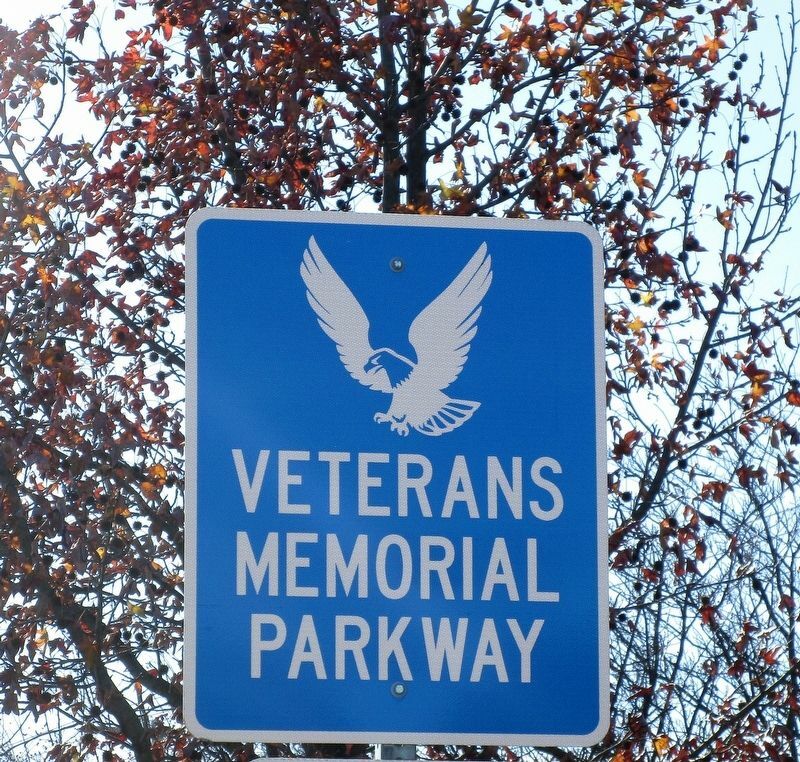 Marker is on Old North Fairfield Road near Fairwood Dr., on the left when traveling north. Touch for map. Marker is at or near this postal address: 1911 N Fairfield Rd, Dayton OH 45432, United States of America. Touch for directions. as the crow flies. 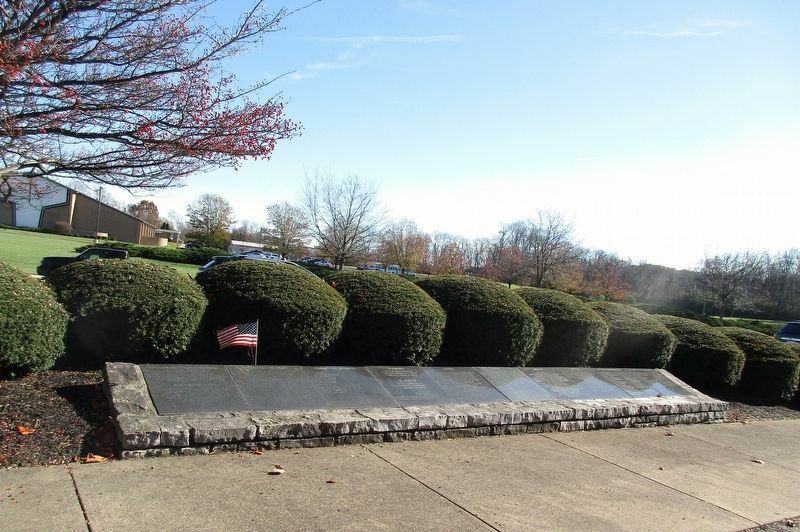 Beavercreek Veterans Memorial #3 (here, next to this marker); Beavercreek Veterans Memorial #2 (a few steps from this marker); Beavercreek Veterans Memorial #1 (a few steps from this marker); First Courthouse of Greene County (approx. 3 miles away); Watervliet Shaker Community (approx. 3.1 miles away); Beaver Cemetery/Church Veterans Memorial (approx. 3.3 miles away); Forward Air Controllers Memorial (approx. 3.8 miles away); 49th Fighter Group/Wing (approx. 3.8 miles away). Touch for a list and map of all markers in Beavercreek. More. 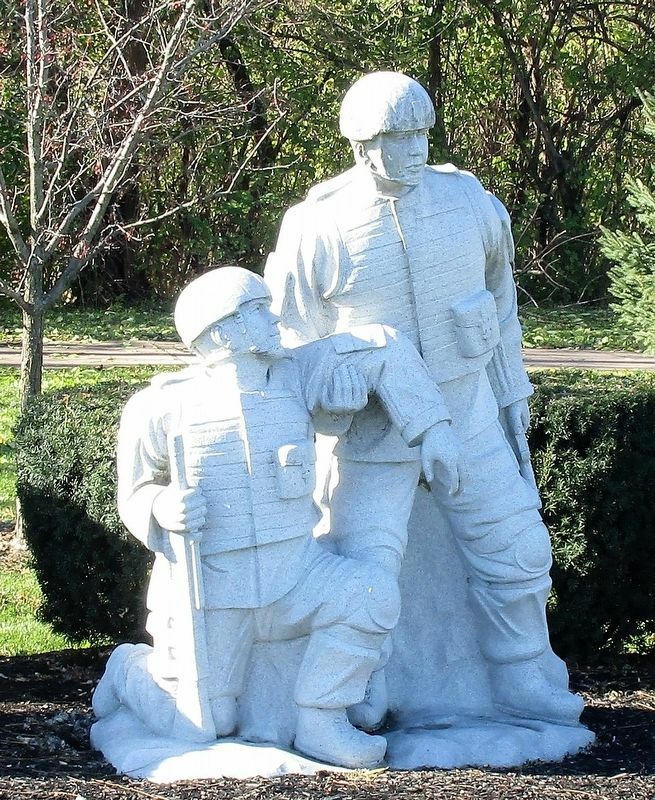 Search the internet for Beavercreek Veterans Memorial #4. Credits. This page was last revised on January 24, 2018. This page originally submitted on January 22, 2018, by Rev. Ronald Irick of West Liberty, Ohio. This page has been viewed 87 times since then and 8 times this year. Photos: 1, 2, 3, 4. submitted on January 22, 2018, by Rev. Ronald Irick of West Liberty, Ohio. • Bill Pfingsten was the editor who published this page.